I had originally planned to write and post an article regarding Karate and Bunkai (Application) today but given that since last night, all I can think of is De La Hoya’s performance against Pacquiao, I’ll post a little something about boxing instead – not last night’s fight, that’s over (I’m actually a big fan of both boxers, but De La Hoya really failed to impress last night). 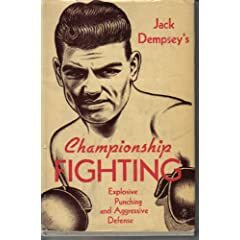 This is a review of Jack Dempsey’s ‘Championship Fighting: Explosive Punching & Aggressive Defence’. Jack “The Manassa Mauler” Dempsey is a boxing legend, known for his aggressive forward-moving style (similar to that of Joe Frazier and Mike Tyson –Tyson is known to have modelled himself after Dempsey, including shaving the sides of his head for fights) and one of my favourite all-time boxers; he was World Heavyweight Champion from 1919 to 1926. The book, which as far as I know, is now out of print but is a great resource for any boxer (or fighter in general) looking to power up their punches. The information presented was written in mind for both ring boxing and bare knuckle fighting. This was a conscious decision by Dempsey who feels that trainers are forgetting that boxing at it's very core is about self defence - he asserts that too many young boxers are taught solely technical boxing whilst ignoring the importance of packing a powerful punch! Another famous icon to draw on Dempsey’s knowledge was the legendary Bruce Lee – some study of both their books shows you the clear influence that Dempsey’s ‘vertical punch’ and ‘falling step’ had on Lee; furthermore, Lee’s counterpunching techniques used in the Jeet Kune Do system are heavily modelled after those that Dempsey describes in this book. Aside from punching skills, the book goes over training, conditioning, defence, sparring and the proper way to watch a boxing match. It’s well-written and easy to read, providing some insights to Dempsey’s own thoughts regarding boxing. The book can be quite difficult to get a hold of but the information presented in it is actually quite cutting edge (especially since it was published in 1950! )...except for the illustrations, the illustrations are charmingly 1950. 7. 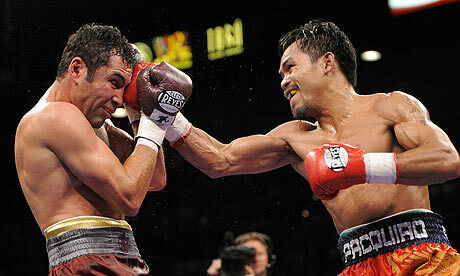 What is a punch? I’ve read that there is a pdf version of the book floating around the internet – so if you feel so inclined, give it a quick Google. It really is worth it.